By guest writer | April 18, 2019 | This post may contain affiliate links, which means we may receive a small commission, at no cost to you, if you make a purchase through a link. Read our Disclosure. Are you looking for advice on things to do in Madrid? As part of our city guides series, we interviewed Lauren Aloise from Spanish Sabores who has been living in Madrid for a little over one year. She previously lived in Seville, but decided to move to the capital for a quicker pace of life and some great opportunities. Lauren shares with us her insider tips on the best things to see and do in Madrid, including where to eat, sleep, drink, shop and explore. Madrid is a city that has something for everyone, and you’ll feel like you belong from the very first day. Offering world-class museums, shopping at every budget, incredible cuisine, and gorgeous architecture Madrid keeps people coming back year after year. It is a big city, but feels more like many small towns, as every neighborhood has a very distinctive character. It’s a place where people watching is fun, you can order a beer at any time of day, and it is impossible to run out of things to explore and discover. Everyone who visits Madrid must visit the Prado Museum, art lover or not. It is overwhelmingly big, but you can take advantage of the free entry hours to get just a taste of what’s inside. 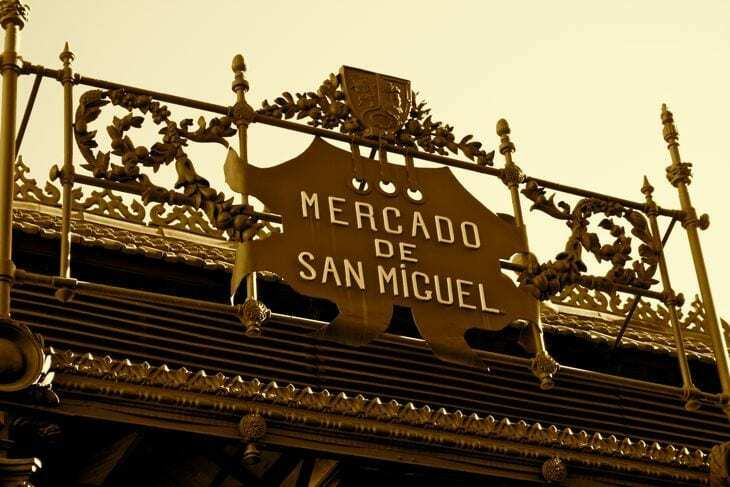 You should also check out the historic San Miguel Market, located in the center of the city. Here you can go from stand to stand, trying delicious Spanish foods like stuffed olives, Spanish omelet, and acorn fed Iberian ham. 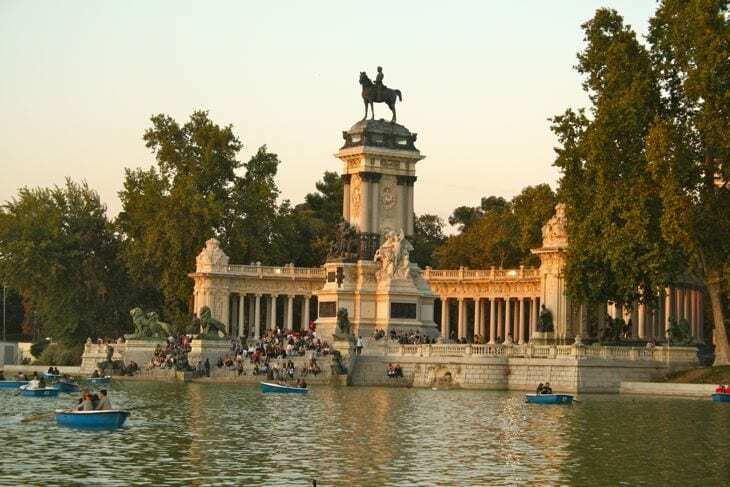 I also take my visitors to Madrid for a walk through the lovely Retiro Park, a great place to bring a picnic when the weather is nice. Lastly, some of the best flamenco dancers perform in Madrid, so if you enjoy the arts, a flamenco show is a must. 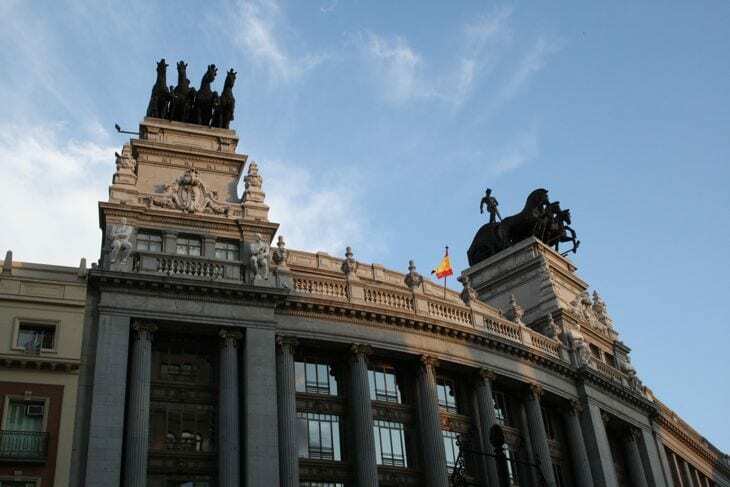 El Centro (the center) of Madrid is crammed with history and things to see and do. Highlights include the Plaza del Sol area and the Mercado de San Miguel. Barrio de las Letras is another historic neighborhood where literary icons such as Hemingway used to spend their days bar hopping. You can find some of the city’s best bars and a great nightlife scene too. Malasaña is the city’s up and coming alternative neighborhood. You’ll find lots of little stores and artistic shops, as well as plenty of non-Spanish restaurants. Lavapies is the place to go to find some inexpensive ethnic food and artsy community centers. Chueca is where you’ll find some of the city’s most exciting nightlife, roof top bars, and trendy restaurants. Retiro is a nice neighborhood to take a leisurely walk and check out the lovely park. 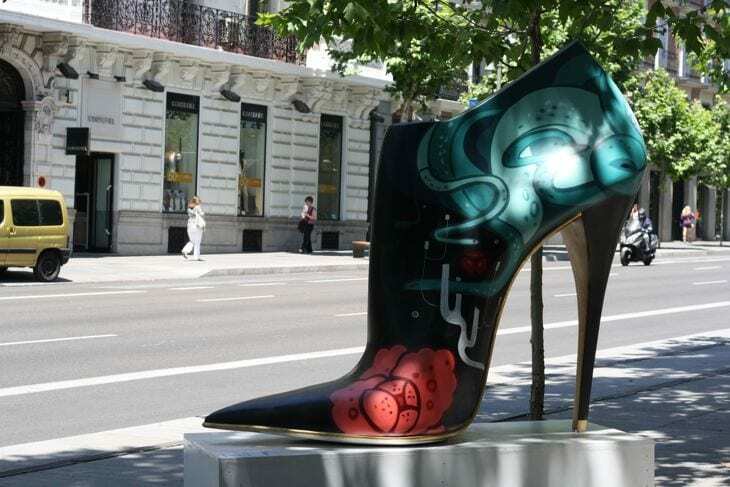 Salamanca neighborhood is an absolute must for those who like to shop, it’s home to all the best designers. Market Dining: The Mercado de San Miguel is great for trying a bit of everything, and is where people go for their pre-meal aperitif. Traditional Madrileño: Docamar is a bit further out of the center (15 minutes by metro) but serves Madrid classics like Calamari sandwiches and an incredible Spanish omelet at low prices. For Pinchos: Juana la Loca is the place to go for creative Basque inspired tapas (called pinchos) and has both a busy bar and more exclusive restaurant. 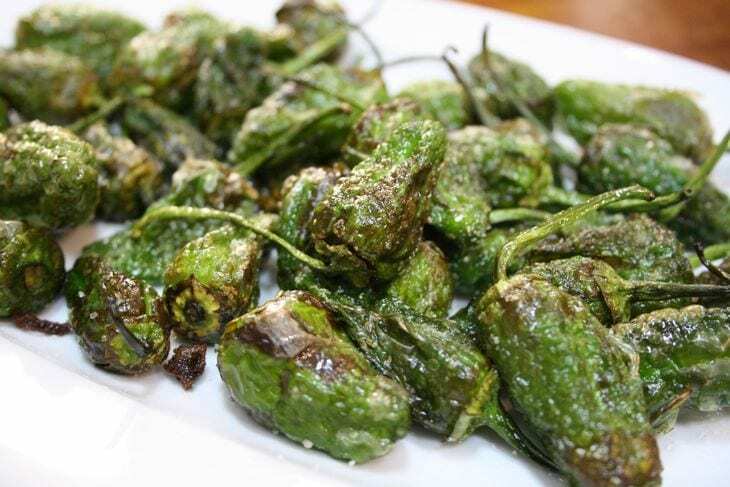 A Tapas Crawl: Try Calle Cava Baja near the La Latina metro stop (or a five-minute walk from the center). Almost anything on this busy street full of bars and restaurants is good – though prices vary so see the menu first! Menu of the Day: Madrid is a menu of the day type of city, and lunch time is full of some great deals all around town. One of my favorites is Mercado de la Reina, a nice restaurant on busy Gran Vía with a fantastic three course menu for about thirteen euro! International: When I get tired of Spanish cuisine I make a reservation at Pui’s Thai Tapas, a small Thai restaurant that is as close as Madrid gets to the real deal. A Taste of Everything: If you are pressed for time, try a Madrid Food Tour. 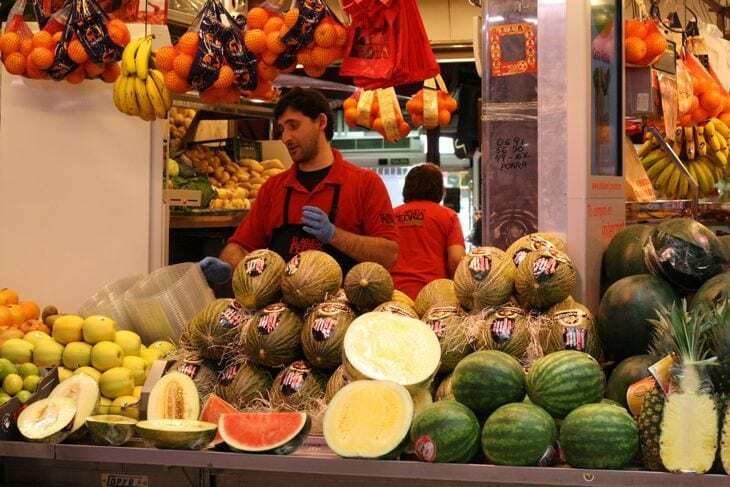 Their tasting tour offers you the best of Madrid’s traditional foods in only four hours. 1862 Dry Bar: The place in Madrid to have a gin and tonic (the city’s cocktail of choice). It is a show just to see the bartenders working, they know their stuff! A drink will set you back at least 10 euro for their expertise. Café de la Luz: This small café is the perfect place to go for inexpensive (but delicious) cocktails and coffees. Chicote: One of the city’s most famous and historic bars, Museo Chicote is a must for anyone who wants to drink elbow to elbow with the city’s elite. La Sureña: If you want to go out in Spanish student style, try La Sureña, a chain you’ll find all over the city. Here you can order a beer bucket with five small bottles for three euros! Madrid is full of places to stay, and you can find something at every price point. I prefer staying in the center, to be able to fully enjoy Madrid on foot. Hostel: Centrally located, but tucked away on a quiet side street Living Cat’s Hostel is a legend in Madrid. I recommend it above all for the location and friendly staff. 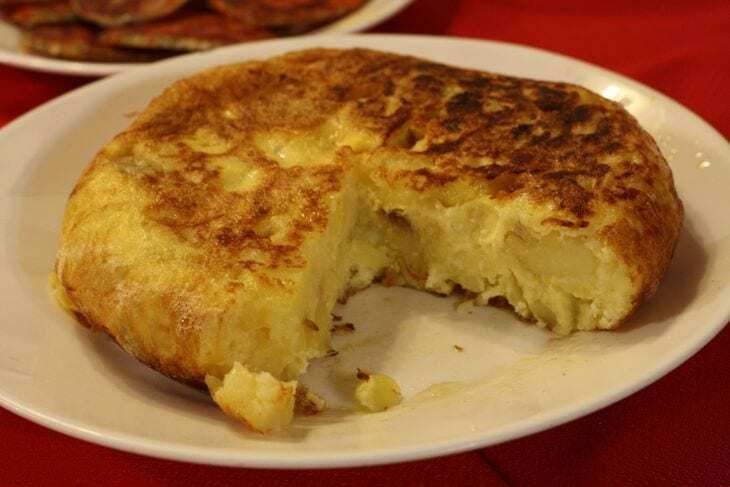 Budget: If you are happy with the basics, try Hostael Jaen. It’s located in the center of the city in the always lively Barrio de las Letras. Rooms start around 35€ per night including free wifi. Better: I usually send my friends and family to the Artistic B&B. Rooms start around 55€ but include wifi, breakfast and coffee or tea anytime. It is a charming place to stay and really centrally located. Best: Urban Hotel Madrid is where you should definitely stay if money if not an issue. From its tempting rooftop bar, to its gorgeous art deco style, I haven’t stayed here myself, but it is highly recommended! Local: For a unique and local stay check out Airbnb. Click here to view all properties available in Madrid during your stay. For food shopping (the best souvenirs in my opinion) check out the different stands at the Mercado de la Paz in the Salamanca neighborhood. For big name designers stay in Salamanca and check out the side streets for lesser known, up and coming Spanish designers. For trendy shopping and vintage boutiques head over to the Malasaña neighborhood, and for one of the biggest flea markets in Europe, a stop at the El Rastro on Sunday mornings (metro La Latina) is obligatory. 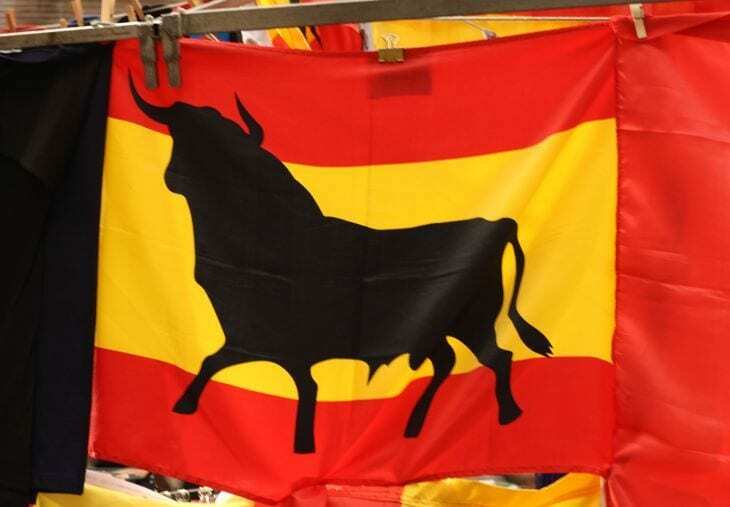 Madrid has many holidays and festivals throughout the year, and the smaller towns surrounding Madrid have even more! 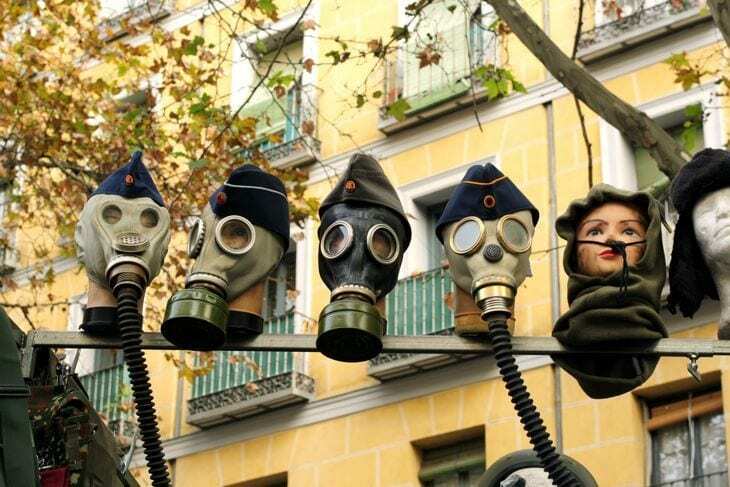 If your Spanish is decent, try the website Madrid Diferente for their cultural agenda, and, if not, Cheap in Madrid notifies about all the up and coming budget events. Christmas Lights: Every December the city comes alive with the Christmas spirit as beautiful Christmas lights adorn the city center. The Christmas tree in the Plaza del Sol is the main event and a great place to take a picture. I prefer walking (and stopping every now and then for hot chestnuts) but there is also a special bus to see all of the lights around town. Las Uvas on New Year’s Eve: On the 31st of December, the people crowd into the city’s central square, the Plaza Mayor to bring in the new year. 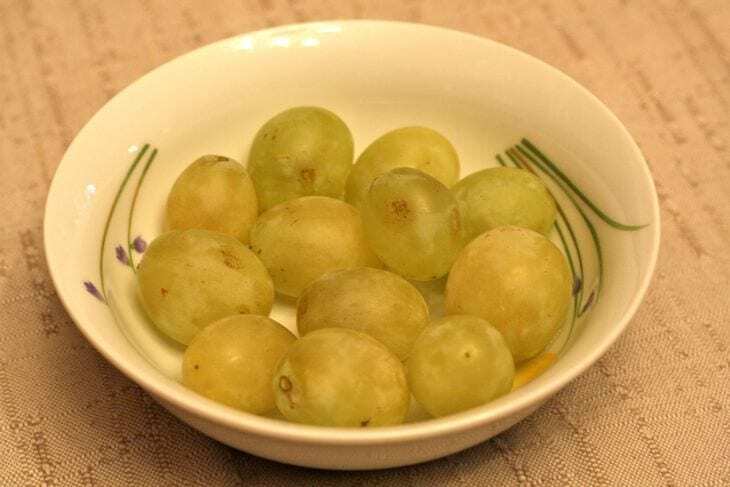 The tradition in Spain is to eat one grape (una uva) for each of the twelve seconds prior to midnight. Tricky, but definitely possible! La Cabalgata de los Reyes Magos: This big parade on January 5th shows off the Reyes Magos (Three Wise Men), what Spain traditionally celebrates instead of Santa Claus. The three men throw candy to the crowds, and the greediest spectators catch the candy in an inside-out umbrella. 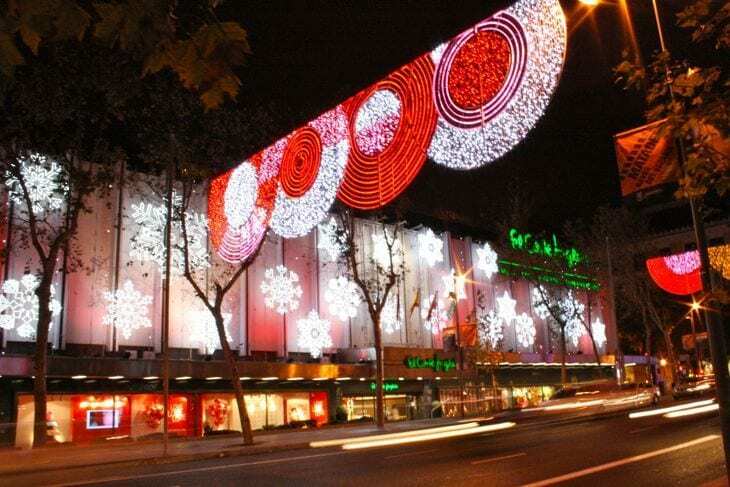 San Isidro: San Isidro is Madrid’s patron saint, and the Madrileños don’t take his festival lightly. There are traditional costumes, pastries, stews, and dances that everyone likes to partake in during these days, the 11-15 of May. Madrid Orgullo: Orgullo means pride, and Madrid’s gay pride celebrations (called mado) are among the biggest in the world. 2013’s festivities take place July 3-7 and are sure to be a really fun time. The public transport in Madrid has been excellent, however recent budget cuts have definitely slowed things down. Nonetheless, the metro is reliable and comfortable, and runs often during the day. Buses are equally dependable, and there are special night buses that continue service all night, after the normal buses and metros stop running. Your best bet is to buy a 10-pass transportation ticket (12.20€) that you can use on the metro and buses. But my preferred means of transportation is definitely by foot. Madrid is extremely walkable and the only excuse to rely on public transportation is when traveling outside of the city center. Wifi can be tricky in Madrid, as there are very few public access points. However, many cafés and bars (above all chains) have free wifi when you make a purchase, and the city buses have pretty reliable free wifi as well. Your best bet is checking with a café or restaurant before sitting down, just to make sure. September and October are usually gorgeous, and April and May can be quite beautiful too. Winter gets very cold, although sunny days are common and it can be wonderful as long as you are bundled up. Summer can be brutally hot, and I’d avoid visiting Madrid in July and August. Toledo: On the top of everyone’s list and with good reason. Toledo is a gorgeous and very historic city, with fantastic architecture and views. It is easy to see Toledo on a budget too. Alcalá de Henares: This small city is one of my favorite day trips from Madrid. Tapas here are free (included in the price of a drink) and the pastries are to die for. 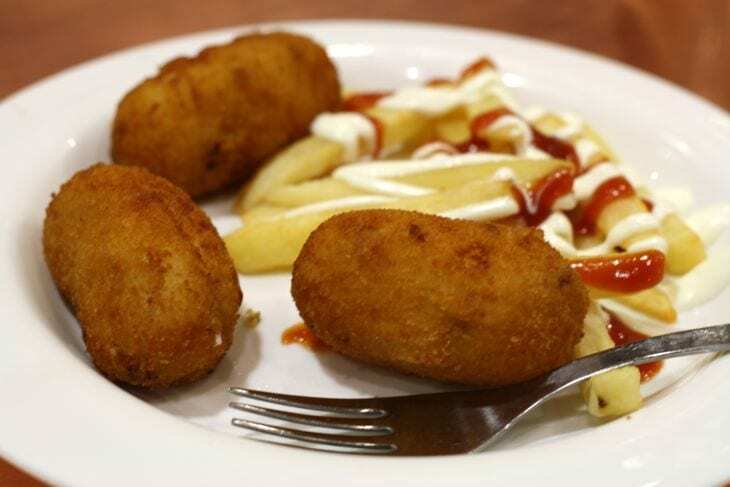 See here for where to go for tapas in Alcalá– as a major foodie, I come here often! 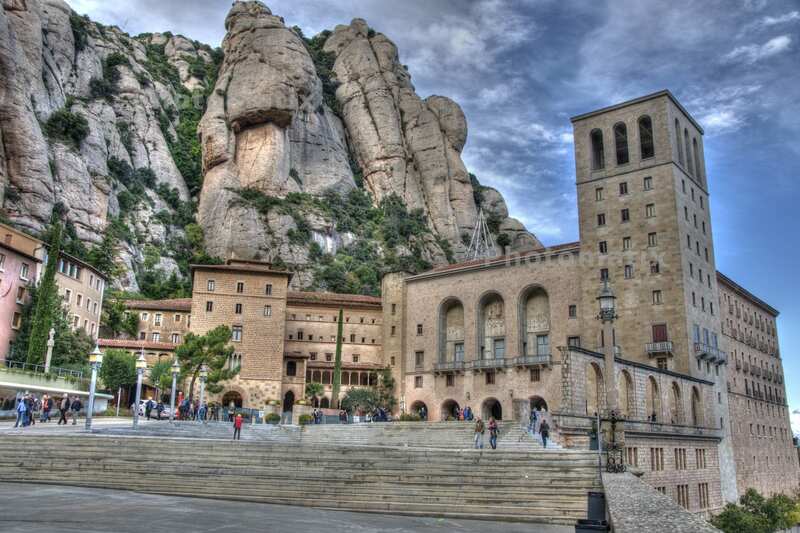 The town is also the birthplace of Cervantes and has some beautiful monuments and plazas. Aranjuez: This was where Spanish royalty had their summer palace and you can take a tour of the impressive site in Aranjuez. The town is also a gorgeous place to spend a leisurely day strolling around, especially in its pretty park and Royal Gardens. Iberia has lots of direct flights to and from the US and the Spanish trains (RENFE) are wonderful when traveling from one part of Spain to another, although the high-speed trains are definitely pricey. Low cost airlines such as Ryanair also fly in and out of Madrid, making it a very cheap option to visit from other European cities. The city’s cable car is really cool and offers a unique view of the city. The city’s bull ring (Las Ventas Plaza de Toros) is a bit out of the center but worth a look for the impressive architecture, and the tour is also really interesting. After, you can try any of the neighborhood bars for stewed bull’s tail or, if you’re lucky, delicious bull’s tail croquettes. My other advice for active travelers is trying to run a 5k or 10k while visiting. They close down the center streets for many races and you get a truly unique look at the normally traffic filled streets of Madrid. it is an incredibly complex and beautiful city with a lifetime of things to do and see, and incredible food and people too! Book your accommodation in Madrid with our partner, Booking.com They have 1,171 hotels, apartments and hostels worldwide. You get free cancellation on most rooms and a best price guarantee. Book your car rental in Madrid with our trusted partner, RentalCars.com They are the world’s biggest car rental booking service that compares all the major brands like Hertz, Avis, Alamo, and Europcar. Do you have any suggestions for things to do in Madrid? BIO – Lauren is a food and wine obsessed girl currently exploring her passion for Spain’s incredible cuisine in delicious Madrid. When she’s not out eating and drinking, she is usually traveling, writing, or planning her next food project. You can find her blogging at Spanish Sabores and Teach and Travel Spain, or over on Twitter @SpanishSabores and on Facebook too. I recommend to visit Valencia in Spain too. A lovely city and marvellous beach. Thank you for your post! your image and your city recommendations are cool! If you want to know more about this wonderful city visit us in our webpage http://citymadridtour.wordpress.com/author/citymadridtour/ and discover some interesting facts about Madrid! This is excelente! Muchas gracias! Thanks for share! really useful info about Madrid! Great post, Craig! We did save the bullfighting ring for Sevilla, though, didn’t go in Madrid. Did you find the RENFE trains to be ridiculously punctual? Nothing like through France! Great tips. 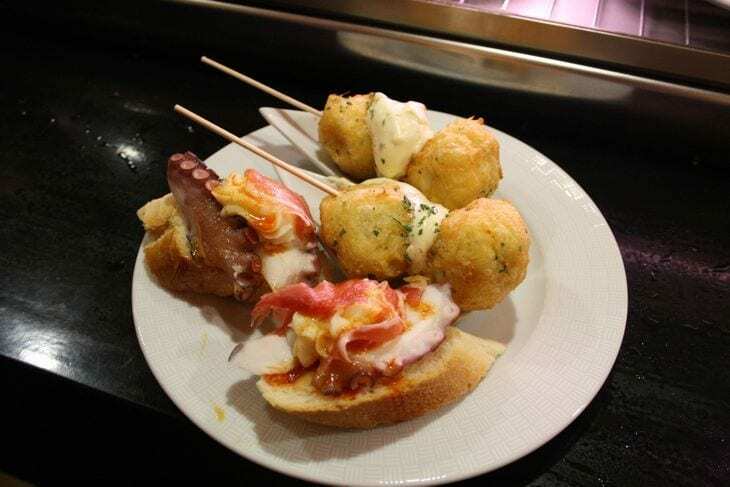 The tapas crawl is a must do when in Madrid. Awesome! My cousin lives in Madrid and he loves it there. Not only for the beauty of Madrid, but also for that in Madrid there live a lot of gay and lesbians and my cousin being gay feels very comfortably in such city. It is like that whole year not jus in july during Orgullo. I love Madrid! It’s like a second home to me because my wife is from Madrid. We go there a couple of times every year to visit her family and our friends and I enjoy every stay there. Great article! 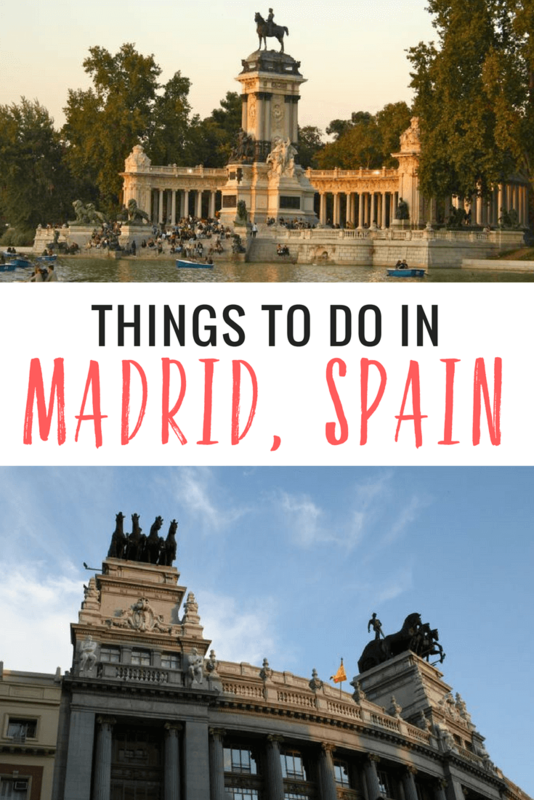 Such great information about Madrid – I’ll check out some of your suggestions for side trips! And don’t miss the Tapas cooking class – so fun. We love all your tips! We also offer various tours for those visiting Madrid! From history to parties to more cultured tours. Visit our website for more info: http://www.madridetours.net or on FB, Twitter, or IG: @madridetours ! Congrats for your blog! Really a good job. In 1986, Toledo was declared a World Heritage Site by Unesco, thereby acknowledging centuries of historical wealth. 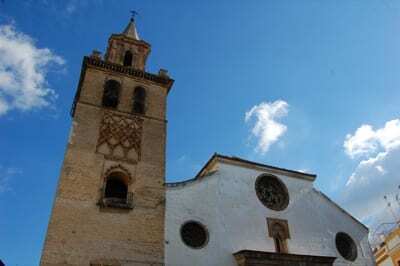 The streets of this city, which is only 70 kilometres away from Madrid, were once synonymous with peaceful coexistence between Moors, Jews and Christians. At an altitude of a thousand metres, Segovia was founded on a limestone crag, protected by the Eresma and Clamores rivers. Its Roman aqueduct and impressive castle are just a couple of the monuments that led to the Unesco declaring it a Wolrd Heritage Site in 1985. Located in the heart of the Sierra de Guadarrama mountains, only 50 kilometres from Madrid, San Lorenzo de El Escorial is renowned for its impressive monastery, where the monarchs of the House of Hapsburg and Bourbon are buried. Just 30km from Madrid lies Alcalá de Henares, one of the most important cities in the history of Spain. The Universidad Complutense was founded here in 1499, and since then it has declared Spanish a language of culture. In 1998 it became a World Heritage Site. 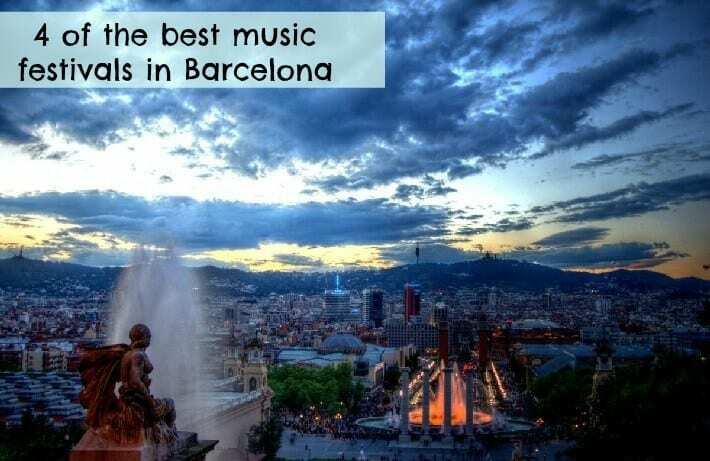 I’m from Madrid and this list is spot on! Thank you very much for being an informative article. Your welcome and hope it helps you find some new things to do in Madrid when you visit.